All the things you need to know about gadgets. Features and supports are all present here..
How Good is Casio EX-Z150? 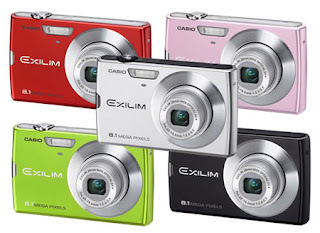 The EX-Z150 camera from Casio is slim and stylish camera and it comes from 5 different colors, Red, Pink, Silver, Green, and Black. You can choose from any colors you like. This little camera delivers a great quality picture. Just don't judge this camera because of its structure which is slim. Even this slim camera produce an excellent imaging quality. Are you a fanatic of Casio camera? Have you ever tried Casio EX-Z100? If not then you better try Casio EX-Z100. This camera comes from 5 different colors, blue, brown, pink, silver and black. You can chose from the 5 different colors available. Of course it depends on what color you like. Casio EX-Z100 is not just designed to look good but also designed to give satisfaction on there buyers or customers. I put the features of this camera for you to know. - Compatible with You Tube. 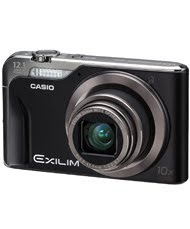 Casio EX-H10 camera is one of the Exilim Zoom camera of Casio. It has a thin, compact body, ultra wide angle about 24mm wide, 10x Optical Zoom Lens and Dynamic Photo Functionality. This camera is not just for photo shooting but it can also be used as a Video Recorder and if having problems with digital camera that there batteries suddenly turns low or empty then this camera will be best for you because this camera has 1,000 Shot Battery Life. Have you realized already how great this camera is? If still not convinced then see the features of this camera. Olympus rocks the camera world again. They released the Ultra Zoom camera that has 26x Optical Zoom Lens. Just imagine how far this camera can reach. Even the farthest that you can ever imagine. This amazing camera still has excellent image quality even it is zoomed 26 times. Olympus SP-590 Ultra-Zoom is really a wise investment not just because of its unique features but also the quality and durability of the camera. SP-590 is designed not just for this year because the design really fits for all time. Amazing camera right? Great for outdoors and parties because it has Dual Imaging Stabilization so that you can have sharp shots. Still not convinced? See the more detail features below. With the powerful Ultra Compact Lens of SP-590 UZ brings you closer to the action even your so far from it. The Wide Angled Lens helps you capture more in your pictures. Say goodbye to those blurry shots with this 2 in 1 anti blur solution and if you have shaky hands when taking pictures? Worry no more because SP-590 has Sensor Shift Image Stabilization which compensates for the shakes. Has Improved Face Detection which tracks up to 16 faces and optimize exposure for a sharp brilliant portrait pictures. Having a hard time taking pics on the movement of a flying bird? 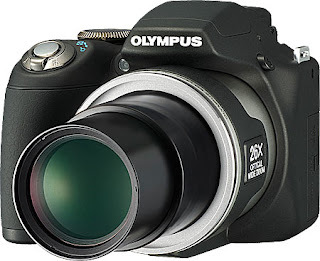 Then Olympus SP-590 is the camera for you because this amazing camera can take rapid shot succession in just 1 click. With a burst rate of up to 10fps (3MP). As soon as the focus is locked, Pre-Capture automatically archives ten frames (3MP) before fully pressing the button to capture the perfect shot. Smile Shot detects a smile on your subject’s face and automatically fires off three consecutive shots to capture that perfect smile. In this feature you can remove the unwanted wrinkles that your camera captured.dditionally, make subtle edits, such as slightly emphasizing and brightening the eyes, with a new post-capture feature: Beauty Fix. There are many brands of camera are already present in the market and most of them claim that they have the best camera and they are the best brand or company of camera in the world. If avid camera fan or photographers will rate brands of camera what will be there choice as the best company of camera in the world who produces excellent quality of cameras. Will your favorite brand of camera be in the top? List your top brand of camera that you know of has the best performance and quality to give buyers what camera will they buy. The number 1 will be your best choice and 5 will be the least from your list. 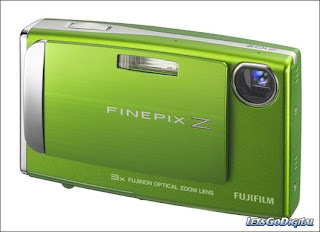 Fujifilm Finepix z20 fd mostly preferred by many? When I posted a discussion on a community blogger site entitled "What camera do you prefer on using?" and majority of people who replied on my discussion says that they like Fujifilm finepix z20. I became curious about this digital camera, how come a lot of people say that they like Fujifilm Finepix z20 and because of my curiousity I immediately searched this product of Fujifilm. After I searched the net about this camera I found out that there were some good and bad feedbacks about this camera. Some says that this camera does not possess good imaging qualities compared to other camera producers. When I saw the features and specs of this camera I realized that how come Fujifilm Finepix z20 got a bad feedbacks when it has good features and specs and it is much preferred to use compared to other cameras? Anyway I haven't tried this camera yet and I hope I will be given a chance to own one to know what's within this cute and attractive Fujifilm Finepix z20 fd digital camera. A lot of slim and cute camera are now coming out in the market and it is well entertained by camera enthusiast. Most buyers prefer to buy those slim and cute camera compared to those bulky ones. They tend to buy those slim cameras due to reasons like it is more handy compared to those big and bulky cameras. Some consumers thinks that because the camera is slim or small it does not have good imaging quality. Well they are wrong! Maybe they haven't tried Casio EX-FC100WE yet. 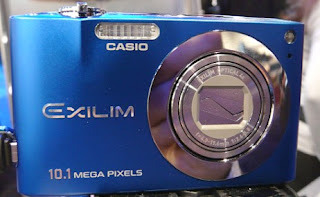 Casio EX-FC100WE is a combination of slim-lined body and high speed features. This latest camera is thin but you will be amazed with its features. 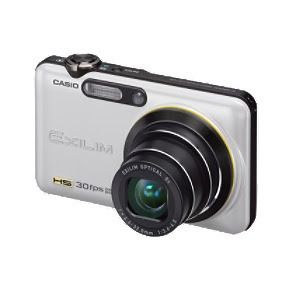 Just imagine this cute camera has 9.1 megapixels and 5x Optical Zoom. Still not amazed with it? Then try to see more features of this camera. What type of camera do you like? Gadgets around the world All Rights Reserved.